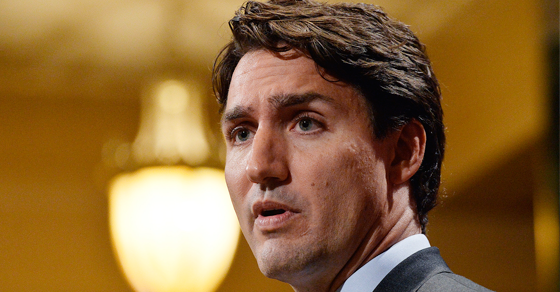 Wouldn’t it be nice if Canada’s 21st century economy worked more like a 19th century economy? It appears Maxime Bernier, who’s kicking off his bid to become Conservative Party leader on Sunday, thinks so. In fact, the Conservative leadership hopeful and occasional blogger says he’s very much open to the idea of linking Canada’s currency to the gold standard – a practice abandoned nearly a century ago. 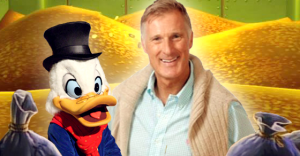 “In most countries, money was linked to gold until the First World War, which means that the quantity of money increased at the same rate as the quantity of gold,” Bernier explained in a 2010 installment of his video blog. “The 19th century was one of the most prosperous periods of human history thanks to this system. Prices tended to go down instead of constantly going up. The level of debt of countries and households was under control. Economic crises were short-lived. 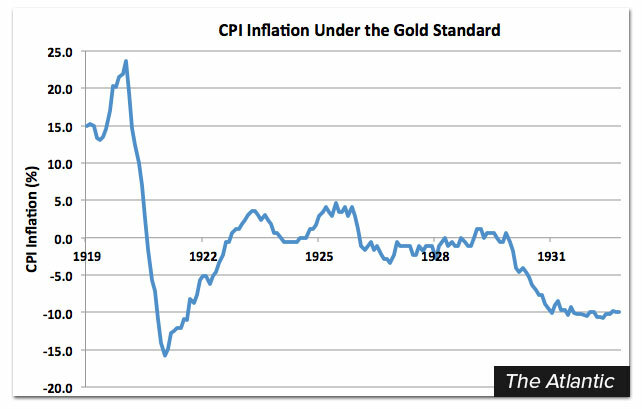 More and more economists believe that the gradual relinquishing of the gold standard during the 20th century was a mistake, a mistake which brought about the Great Depression, the inflation of the 1970s, and the recessions that keep afflicting us. Of course, there may be a few wrinkles in Bernier’s theory. For one thing, although Bernier imagines the 19th century under the gold standard as a period of stability and prosperity, the late 19th century was pretty volatile, with financial panics in 1873, 1884, 1890, 1893 as well as a “Long Depression” between 1873-1879. The 19th century was also marked by widespread poverty, destitute living conditions, crummy labour standards and other things you may have read about in a number of Charles Dickens novels. Speaking of human misery, the gold standard was still in place when the Great Depression began in 1929, so if Bernier believes the “relinquishing of the gold standard” actually “brought about the Great Depression,” he may need to elaborate on how he sees cause-and-effect working here. Canada got rid of the gold standard in 1933, the United Kingdom did so two years earlier, and the United States also ended the gold standard in 1933 (a version of the gold standard was reinstated after the war, but that too was ended in 1971). The gold standard also created not-so-stable booms and busts: the gold rushes of the 19th century, to name one example. As for his claim that “more and more economists” agree that the “relinquishing of the gold standard” was a “mistake,” it’s not clear to which economists Bernier is referring. 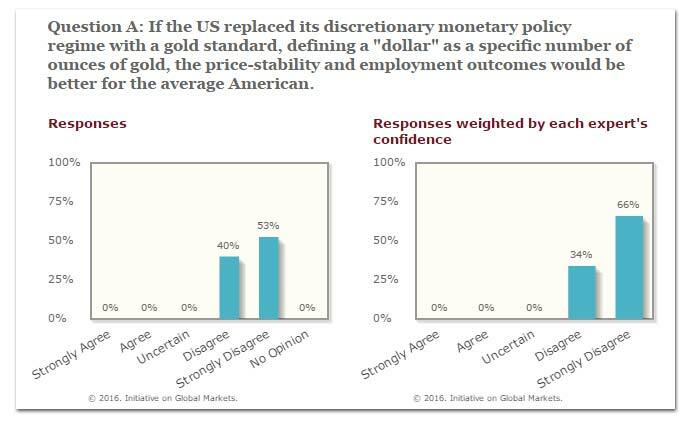 Weighted for each economic expert’s level of “confidence” in their answer, 66% “strongly disagree” restoring the gold standard would be a good thing, while the remaining 34% simply “disagree” that it could be a good idea. “Eesh. Has it come to this?” remarked former White House economic adviser Austan Goolsbee in a supplementary comment. Photo: aloha75, youtube. Used under Creative Commons Licenses.xxxx. Used under Creative Commons license. Conservative Party of Canada. Conservative leadership gold standard Great Depression Maxime Bernier they said what? During a press conference Wednesday, Democratic Institutions Minister Maryam Monsef listed “inclusiveness” and “gender equity” as two key outcomes of any electoral reforms.